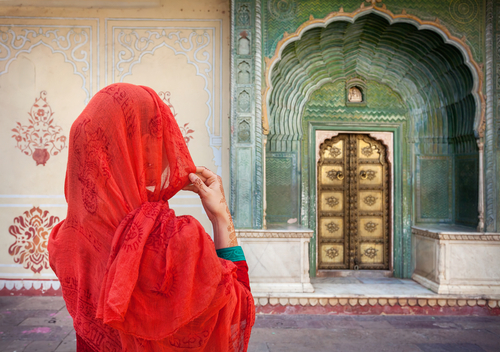 This 14-day trip through the colourful state of Rajasthan in North India highlights the fascinating, historic and diverse architecture of this region. 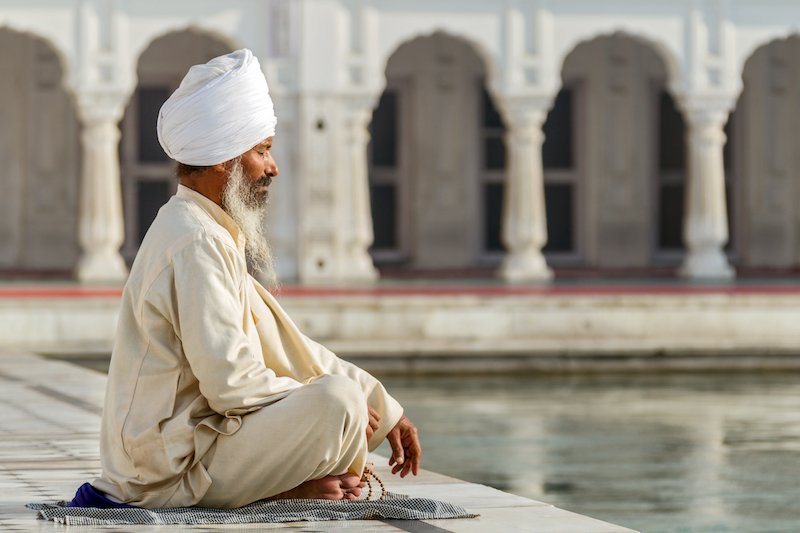 Joined by a private local guide, visit and explore some of the architectural gems of north India including the iconic Taj Mahal, intricate painted havelis, majestic forts and incredible step wells. Stay in small characterful properties, some of which are architectural delights in themselves. 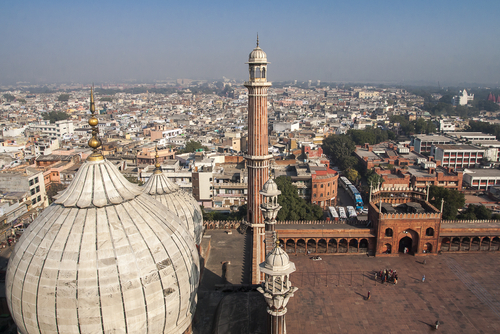 This morning your overnight flight arrives in to Delhi, oozing with history and intrigue. Your driver and guide will greet you at New Delhi International Airport and transport you to your comfortable accommodation. We’ve not planned anything for this afternoon to allow you to recover from your flight, so relax or explore at your own pace. This morning you will be joined by an expert guide for a heritage walking tour of Old Delhi, including a rickshaw ride through the tangle of narrow lanes and a visit to the magnificent Red Fort which boasts a fascinating history. 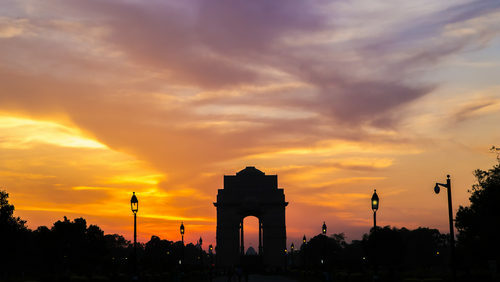 Later this afternoon, your tour will continue into New Delhi, a region of the city which was planned and built by the British in the 1920’s and is characterised by Sir Edwin Lutyens’ monumental architecture. You will drive through the city discovering India Gate, the Diplomatic Enclave and Humayun’s Tomb, aptly called the predecessor of the Taj Mahal because of its ornate Mughal style of architecture. Day 3	- The painted Havelis of Mandawa. 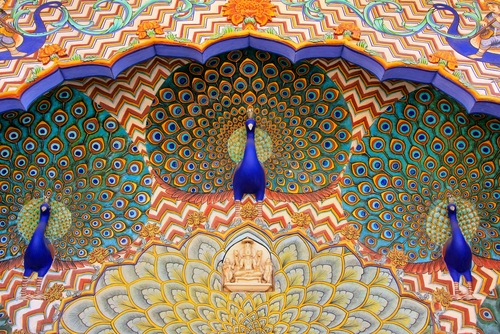 This morning you will leave Delhi and travel to the small town of Mandawa, sometimes referred to as the ‘open air art museum of India’. 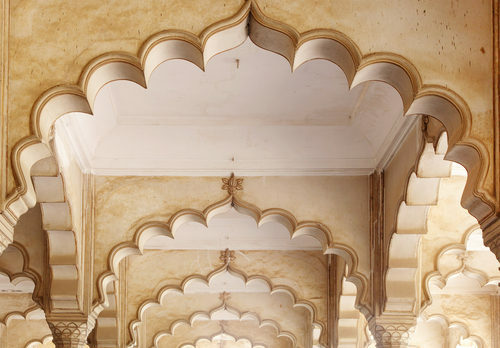 Mandawa is well known for its beautiful painted old havelis and on arrival this afternoon, you will have the opportunity to explore these beautiful buildings with your guide. Today you will continue your journey to the desert town of Bikaner by road, passing through rural landscapes en route. On arrival, enjoy a guided walk through the old part of the town which still has a medieval feel. 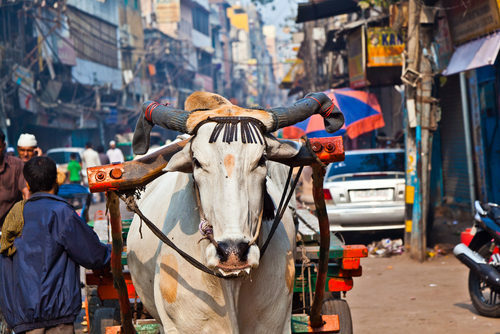 The dusty narrow streets conceal beautiful havelis and a number of Jain temples which are worth a visit. Today you have the opportunity to explore the town in more depth, visiting two key architectural gems – Junagarh Fort and Lalgarh Palace. The superbly preserved Junagarh Fort was built in 1588 and is perched on a rocky outcrop, dominating the town. There are 37 palaces within the fort, many of which are richly decorated and are beautiful to walk around. Today you will continue on to the Golden City of Jaisalmer. 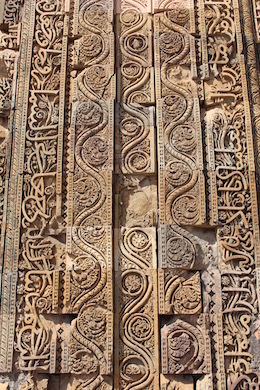 This incredible city rises out of the sands of the Thar Desert making it an incredibly atmospheric place to explore. After you have settled in to your hotel, head out to Sunset Point in the evening for an incredible view over Jaisalmer as the sun sets and the city and fort turn golden in the evening light. Be sure to keep your camera handy for some dramatic photographs! Today you will be joined by your guide for a full tour of Jaisalmer and its majestic fort. Jaisalmer’s fort is one of India’s only ‘living forts’ as it is inhabited by the local people, a city existing within its walls. The distinctive sandstone architecture, beautiful doorways, intricately carved balconies, floating staircases and hidden Havelis creates a mystical atmosphere and make the city a true delight to explore for any architecture enthusiast. 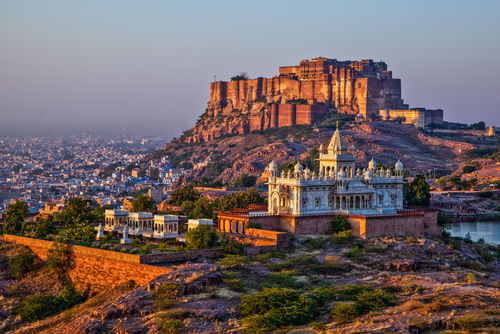 Today you will continue your journey through Rajasthan and will arrive into the beautiful Blue City of Jodhpur. 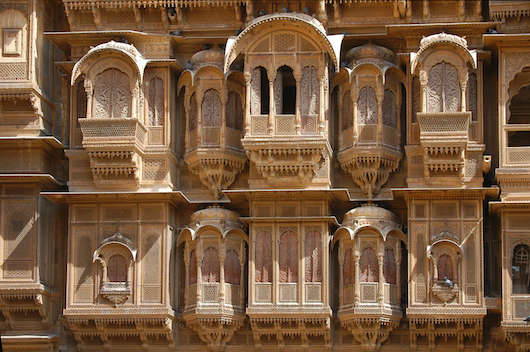 The day has been left free of excursions so that you can take your time travelling from Jaisalmer and relax on arrival. 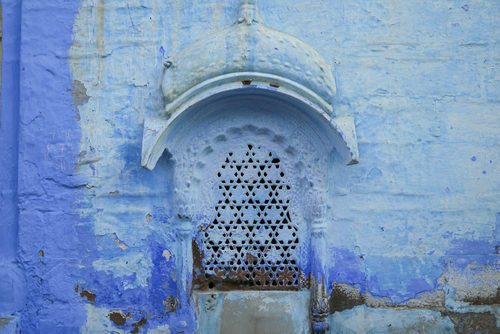 Today you will be joined by your guide for a private tour of Jodhpur. As well as visiting the beautiful Meherangarh Fort, perched on top of a hill overlooking the sea of blue buildings below, you will also walk through the old town witnessing daily life within the colourful narrow streets. This afternoon is free for you to explore under your own steam. Perhaps explore the bustling bazaars located around the clock tower. 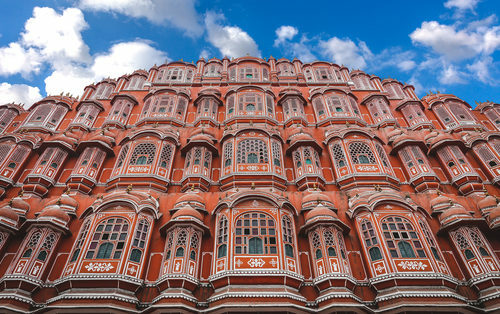 Today you will be transferred to the Pink City of Jaipur, the capital of Rajasthan. 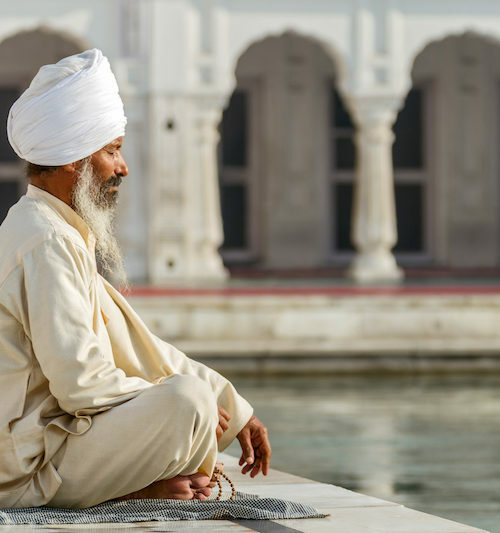 After checking in to your hotel, this evening you will head out with your expert guide to explore the temples and havelis of the city, including a visit to the ancient Vishnu temple. Decorated with marvelous frescos and mythological paintings, the temple is as old as the city itself and also provides fantastic views of the city’s hustle and bustle. You also have the opportunity to enjoy tea and snacks at a beautifully restored haveli owned by a welcoming family, who have a great knowledge of the traditional art and architecture of the city. 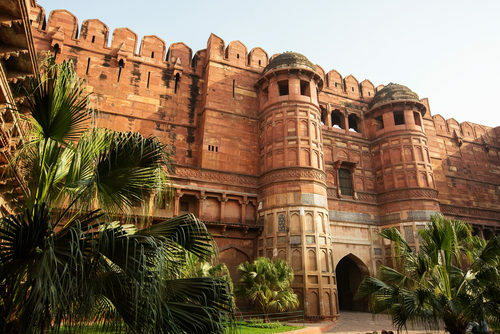 Today you will transfer to Agra, stopping at the fascinating abandoned red sandstone city Fatehpur Sikri and beautiful Abhaneri step well en route. 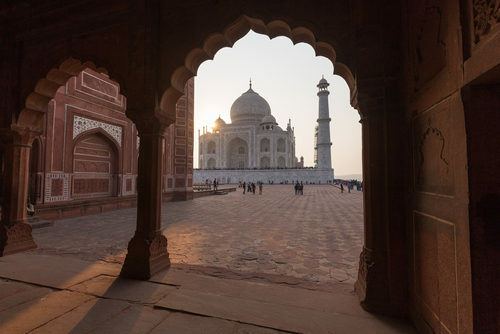 Later this afternoon, once you have settled in to your hotel in Agra, you will enjoy the sunset from the quiet gardens of Mehtab Bagh, which sit behind the spectacular Taj Mahal. A peaceful and magical experience. The Taj Mahal is one of the most romantic and iconic buildings in the world, and one that most certainly lives up to it’s hype. We recommend visiting at sunrise, when the crowds are a little quieter and the ethereal early morning light adds to the magical atmosphere. After breakfast you will then visit Agra’s magnificent Red Fort, a real architectural highlight, before travelling back to Delhi for your final evening in India. Today you will board your international flight back home. Safe journey! This itinerary costs from £2,300 per person B&B and is based on two people sharing during the high season (Oct-Mar) excluding the Christmas and New Year period. The price includes all private transfers and domestic travel but not international flights.